The 10 Best Dog Parks in Wisconsin! Our four-legged pals need to have some fun too. What better way to reward man’s best friend than by taking them to one of Wisconsin’s best dog parks? Check out Wisconsin’s 10 best dog parks where you can get your dog some exercise, and where they may make a furry friend or two. Located just south of Milwaukee in Racine, Wisconsin—is Johnson’s Dog Park. With 28 acres of wooded area, a river, and open fields Spike will sure to be entertained for hours at his off the least dog park. The beautiful Duck Creek runs right through Brown County Dog Park. 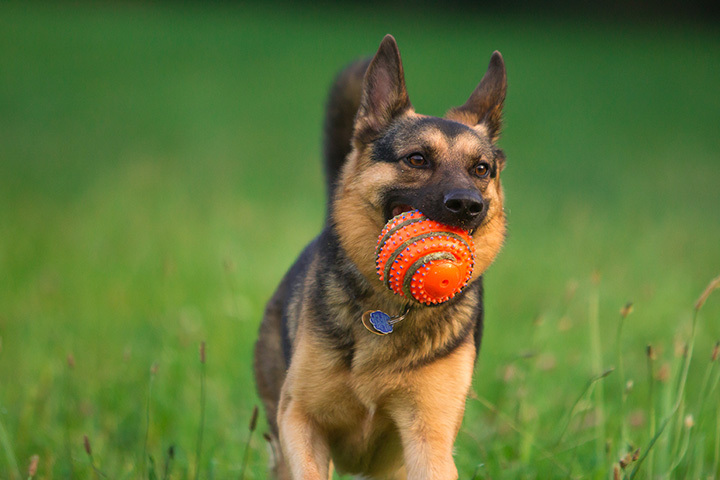 There are specific off the leash fenced in areas for your pup to run freely. While it is only four acres in size Brown County Dog Park has recently been upgraded for a specific small and large dog areas. Terri Tinsley Dog Park is located conveniently on Canine Dr. in Johnson Creek, Wisconsin. One hundred and nine acres in totality, the park offers two large dog areas as well as two small dog areas. However, there is an annual pass that is required. Warner Dog Park in Madison is an off-leash park for your fluffy four-legged friends. The City of Madison has eight dog parks which is ranked fourth in the nation for number of dog parks per resident. Again, a dog permit is required. With nine acres of fenced in area the Eau Claire Dog Park allows you’re your dog to run freely with out a leash. Passes are available for purchase and the park is open year-round. Fun seasonal events are held at the park for your precocious pets! Muttland Meadows is located just north of Milwaukee, in Grafton. They are an off-leash dog park which relies heavily on donations from its patrons. Seven acres of prairie and forested area give this fenced in park a leg up from the others in the area. Best Friends Dog Park is the perfect place to bring your four-legged family members while in the Fox Valley area. Located in Oshkosh, Wisconsin, is another great free, off-leash dog park. Nine acres of fenced in area allows for you and your pets to have a safe, fun, and friendly day at the park. Tails and Trails have over 15 acres of fun forested area. Two separate areas separate small and large dogs along with a separate playground on their common ground. The park is free to the public but they ask for a donation from its regulars. Located in Janesville’s south side is Paw Print Park. There are 40 acres in total and 16 of them are fenced in for your energetic pups. Paw Print Park offers a convenient water service for filling water dishes, a hose, and fountain. FIDO park is located in Fond du Lac, Wisconsin, and was donated by the city. FIDO offers separate area is fenced off for smaller dogs and a convenient sitting area for their humans too! View more Wisconsin Dog Parks.